When we first read the words on the invite we were intrigued. Hong Kong’s Causeway Bay Typhoon Shelter Crab. What on earth was a Typhoon Shelter Crab? 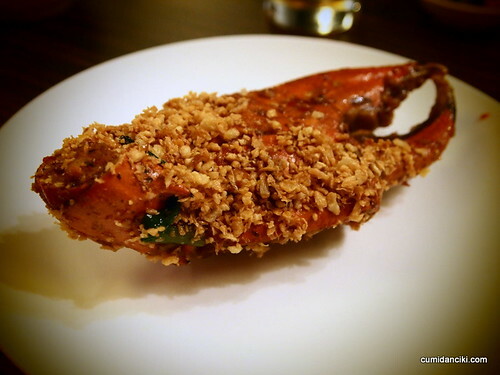 Typhoon Shelter Crab – RM68 for 600g and RM80 for 800g. 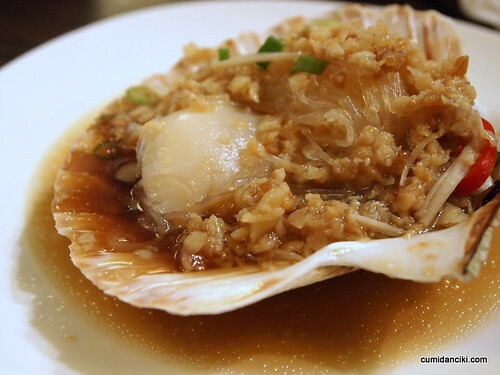 Then speaking to one of the owners of a well known Chinese restaurant who visits Hong Kong frequently, I was even more impressed by what I heard, when she explained the origins of the Typhoon Shelter Crab. Back in the day, before modern Hong Kong, there lived a large population of poor people, on boats in typhoon shelters. Many of these people were fishermen. They developed a distinct culture that set them apart from the mainstream cultures found in Hong Kong. The hard-life had caused them to develop their own “slang”, their own customs, superstitions and even their own food. These were the boat people. The boat people though resilient, lived in extreme poverty and often the children of these fishermen did not go to school. Thus emerged that interesting phenomenon of “floating schools”, operated by religious organizations, to educate children living in typhoon shelters. The typhoon shelter Crab .. makes its way to Malaysian shores.. 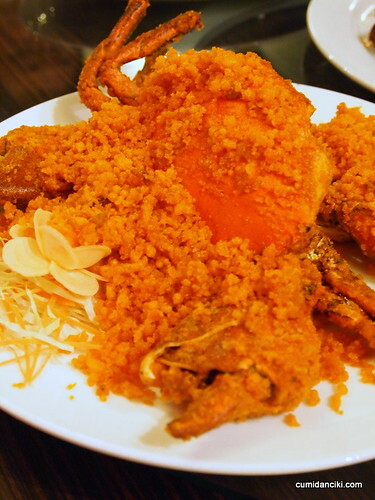 Anyway, to cut a long story short, the famous dish , typhoon shelter crab, which is served in many of Chinese restaurants in Hong Kong, is believed to have originated from the typhoon shelters. It is commonly prepared with crab, garlic, scallion, red chili and black beans, and tastes way stronger than the normal cooking that you and I are used to. The typhoon shelter people were distinctively different and so was their cooking. Personalized ginormous scallops.. we had once each! So here we are! 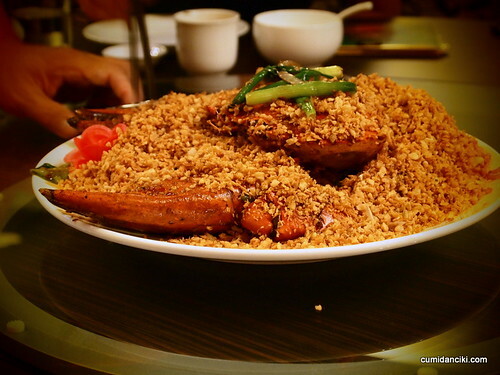 The typhoon shelter crab, which is served in a many of Chinese restaurants in Hong Kong has now arrived in Malaysia. 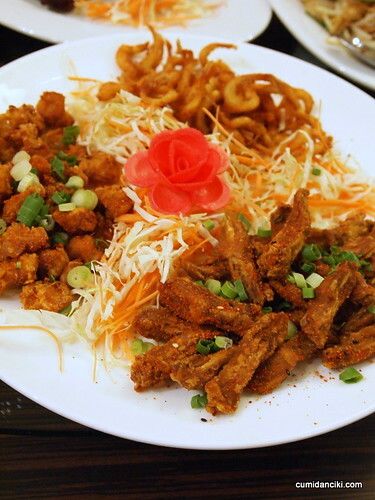 We tried the food and overall, it takes some getting used to because the food is rather strong tasting. Yes that’s right. A load of garlic, scallion, red chili and black beans is employed in the cooking so be prepared to scrape off the garnishing before you can uncover the dish that lies beneath. 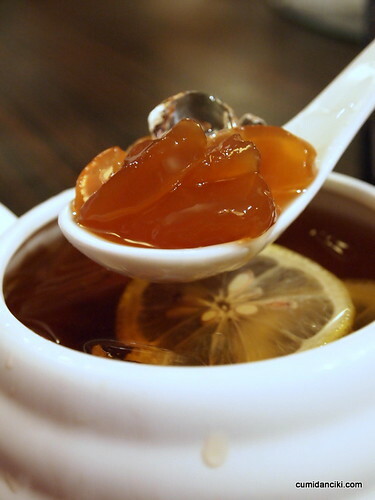 It might not be everybody’s cup of tea but hey, these are the origins of the cooking style and the Typhoon Shelter people like their food strong tasting! Apparently, the Under Bridge Spicy Crab in Causeway Bay Hong Kong, is super popular and the Typhoon Shelter Spicy Crab is a big time favourite of the man himself, Mr Anthony Bourdain. I mean that guy really digs spicy crabs. Today, it is pretty apparent that the modern Hong Kong has not much space to accommodate the typhoon shelter folks and they really stick out like a sore thumb against the opulent H.K. skyline. Hong Kong’s causeway bay is peppered with luxury yachts and it is hard to spot even an old sampan these days. The younger generation of fishermen have either moved to shore or have traded in the unglamorous life-style of being fishermen, for better jobs all together. The “Typhoon Shelter” culture is fast waning. Will the typhoon shelters fade altogether into oblivion one day? Only time will tell, but at least for now , they still have a legacy. Their food, typhoon shelter cuisine, will live on for awhile yet I suspect even if they lose their traditional way of life. well the TSC is already fading.. so sad.. oh well, at least we have the crab! awesome, your pics damn nice sia hor, even nicer than mine liao..
OMG! You can reserve that claw for me …. I am sold! really something different to test our tastebuds. i agree its an acquired taste..
have u been? the egg yolk is crunchy and super addictive. delicious! So, was it good? I’ve heard complaints about the salt content and now I’m scared (despite the fact that I like salt). Maybe the typhoon shelter ppl like their salt hor. hehe. LL, it was too salty for me!